Loose teeth don’t mean you have to lose teeth! 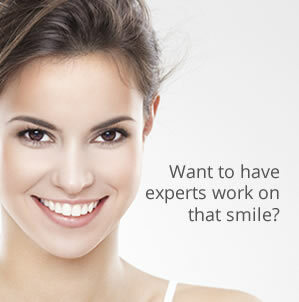 Loose teeth doesn’t mean that you should worry, we can help you. 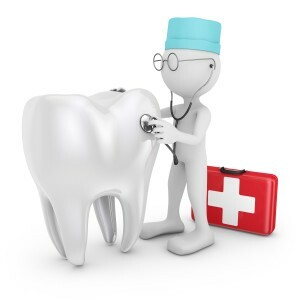 Loose teeth, believe it or not, are one of the most frequent dental problems we come across as one of the leading dental care Manchester specialists. Most new patients suffering from this complaint are generally resigned to the fact that their loose teeth will eventually drop out, or will have to be taken out, leaving them with unsightly gaps and the need for cosmetic dentistry. Yet time and time again we successfully demonstrate that, thanks to our experience and expertise … that simply isn’t the case. How can I prevent getting loose teeth? In the majority of these instances we find that the problem is not actually anything to do with the teeth at all. Time after time the main cause we diagnose is gum disease and if we fix that problem then the chances are that the loose teeth can be saved. At Carisbrook our reputation as one of the top dental care Manchester specialists is such that more and more dental practices, not only from around Manchester itself, but from all across the region and even at times from other parts of the country, are now referring their own patients to us. It is not only our highly qualified dentists either who have built this remarkable reputation, because our dental hygiene team is also widely recognised for their exceptional experience and abilities. No one is better able to spot and treat gum disease and it is because of these qualities, plus our hygienists’ ability to pass on excellent oral hygiene advice on the correct way to brush your teeth and improve your all-round oral health care that really does make an important difference. As we said earlier, the first symptoms of loose teeth are very often not loose teeth at all. The first signs that you may be facing a problem are sore or swollen gums, bleeding gums and even bad breath. All these are symptoms of gum disease that if left untreated it could lead to more serious and lasting dental problems. Our advice is simple. If you have sore or swollen gums, or if you find blood when you eat or clean your teeth, then please make an appointment to see our hygiene team as quickly as possible. Very often the problem can be treated and resolved fairly quickly. But if it is neglected the chances are it won’t go away by itself. So the sooner you see us the better. One of our patients, Peter, did exactly that. After suffering from pain and loose teeth for a number of years, and despite seeing his NHS dentist regularly, nothing was diagnosed. Finally, after being recommended to Carisbrook our hygienists identified the gum disease and immediately commenced a course of treatment that included expert advice on cleaning and oral hygiene. We’re delighted to report that Peter now has healthy gums and teeth and is enjoying his food again without pain. If you are worried about bleeding, swollen or sore gums, please don’t wait. Call us today on 0161 951 7295 or use the online on our Appointments page to arrange a FREE CONSULTATION with one of our hygiene team.